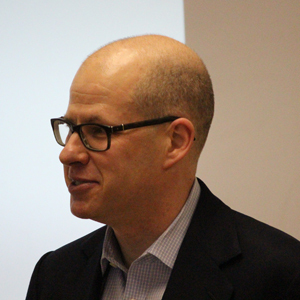 UCLA International Institute, February 14, 2018 — Historian, foreign policy expert and conservative commentator Max Boot spoke at the Burkle Center on February 8 about his new book, “The Road Not Taken: Edward Lansdale and the American Tragedy in Vietnam” (Norton, 2018). The noontime event was cosponsored by the UCLA department of history. Edward Lansdale (1908–87) worked for the Office of Strategic Services (OSS), the precursor to the Central Intelligence Agency (CIA), in Washington, DC, during World War II. He later worked for the U.S. military and the CIA in the Philippines and Vietnam, eventually becoming an Air Force officer. An unconventional figure with a background in advertising who was “the personification of the Californian ethos,” said Boot, Lansdale was known for deep listening to regional allies, respect for his counterparts and their cultures, the cultivation of effective protégés and the use of a small footprint to advance American interests in the post–World War II era. The operative was instrumental in helping defeat a communist insurgency and building a legitimate electoral process in the Philippines in the late 1940s and early 1950s. He also helped stabilize the new state of South Vietnam in 1954–56 by forging a valuable collaboration with Prime Minister Ngô Đình Diệm in 1954–56, pacifying the country and strengthening the new South Vietnamese army while defeating diverse private militias. Lansdale’s willingness to seek out local allies and work with them, together with his flair for psychological warfare, made him an early practitioner of what became later known as U.S. counterinsurgency doctrine. The U.S. advisor advocated the use of local actors over Americans and insisted that only a better ideal, not military troops, would enable U.S. allies in Southeast Asia to defeat communist insurgency movements. In Boot’s view, the 2006 “Counterinsurgency Field Manual,” written by a team led by Army General David Petraeus and Marine Lt. General James Mattis (now Secretary of Defense), harks back to Lansdale’s approach to communist insurgencies. Lansdale even wrote a (recently de-classified) CIA memo in which he distilled how he had helped elect Filipino Army General Ramón Magsaysay president of the Philippines and defeat the Huk (i.e., Hukbalahap) communist insurgency in Luzon province in 1953. 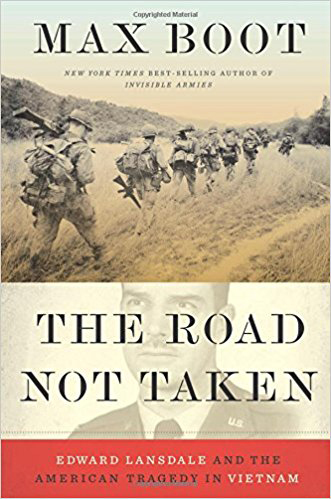 Lansdale initially succeeded in implementing unconventional counterinsurgency tactics due to high-level patrons in Washington (including Secretary of State John Foster Dulles and CIA Director Allen Dulles) and an unparalleled ability to cultivate local allies. “He listened rather than lectured. Americans then and now love to go to the developing world and tell people what to do,” said Boot. “That wasn't the Lansdale approach at all. He would listen very patiently.” After listening — sometimes for hours — he would rephrase allies’ ideas in his own framework, convincing Diệm, for example, that Lansdale’s recommendations were Diệm’s own ideas. By the early 1960s, the Air Force officer had lost his influential supporters in Washington, in part due to his involvement in unsuccessful efforts to topple the Castro regime in Cuba. As a result, he proved unable to change the direction of U.S. policy in Vietnam during the Kennedy and Johnson administrations. In 1963, he failed to convince the Kennedy team to abandon its plans to overthrow Diệm in a military coup. When subsequent regimes proved unstable, the American advisor returned to South Vietnam in 1965, but was unable to cultivate a promising South Vietnamese partner. 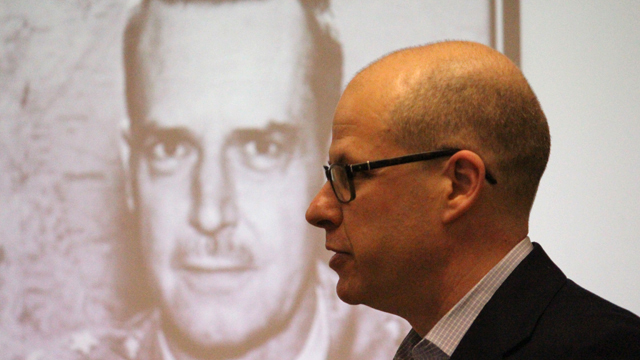 While Boot did not argue that the adoption of Lansdale’s policy recommendations would have changed the course of the Vietnam War, he said it was unlikely that the United States would have lost 58,000 soldiers if it had not pursued a large-scale military intervention. At the heart of Lansdale’s experiences in Southeast Asia was his love affair with Pat Kelly, a Filipina journalist whom he met during his first deployment to the Philippines in 1945 –48. Kelly, who came from the same area of Luzon province where many of the leaders of the Huk rebellion originated, helped introduce the American advisor into Filipino society in a way most outsiders can’t hope to achieve, said Boot. Because his wife refused to grant him a divorce, the American operative juggled both a mistress and a wife for several decades. He eventually married Kelly in 1973, after his wife died. Boot had the good fortune to gain access not only to the love letters written by Lansdale and Kelly, but also the letters that Lansdale wrote to his wife during the same years — both of which had previously been unexamined by any outsider. “For an historian, this was like striking gold,” he said. Today the United States faces Islamist insurgencies instead of communist insurgencies. “How are we going to win the war on terror?” asked Boot. “I would submit it’s not going to be with American combat troops,” he said. “I would suggest it’s going to be with American advisors and small teams of military personnel and diplomats and intelligence officers who will fan out to [the] frontline states in the war on terror and try to buttress their capabilities to battle our common enemy.